The church community I have been a part of at South Parade Baptist Church over the last 8 years has been a source of encouragement and inspiration to me. The small community we call Connect which was previously known as Four is now moving into a new season. Baz and I are not going to be joining the group in this new venture – we don’t feel called to it at this time and it feels a natural time for us to move on. That said – we are excited for their future as they pray into the new vision God has given them. We are having a celebration service to celebrate all that has gone before in this vibrant community of believers. I have decided to try and summarise what I feel are the main things I have learnt over the 8 years we’ve spent together. These are things I will always carry with me. Where I refer to Connect below I am talking about its predecessor ‘Four’ as well! This may sound something obvious but it is harder to do than you might think. It is hard to put people before what might be a carefully planned event or project. I have learnt this both on Sundays at Connect and through small group. There have been times when I have prepared a bible study, been really looking forward to it and then got to small group and discovered that there was a crisis that we needed to pray for and people needed comforting. So we drop the bible study. It might be a small group meeting but people’s needs come before convention. This is the Jesus way – it was what he was talking about when he was challenging the Sabbath rules. We have to be so careful that we don’t put our own plans or ideas of how things should be done before the needs of others. This is something I have learnt from my time in Connect and I will always carry it with me. 2. A little food can go a long way! At Connect we have always taken fellowship very seriously. We are all acutely aware that Jesus spent a great deal of his time eating at friends’ and strangers’ houses. Our small group has always begun with a meal. We’ve always spent that time catching up with each other, sharing our lives. Food has the ability to do this, to bring people together in fellowship. It is no coincidence that the way in which God chooses to fellowship with us is through bread and wine. And of course, you can’t think of Connect without thinking about cake! We have always prioritised fellowship time after the service, sharing good food and coffee and ensuring we have a chance to share our lives with each other. The emphasis, right from the beginnings of Connect, has always been that we are called to follow Jesus in every area of our lives and throughout every week, not just on Sundays. We have never put undue pressure on people to attend church on Sundays – recognising that it is not through church attendance that we follow Christ but through how we are from Monday to Sunday. 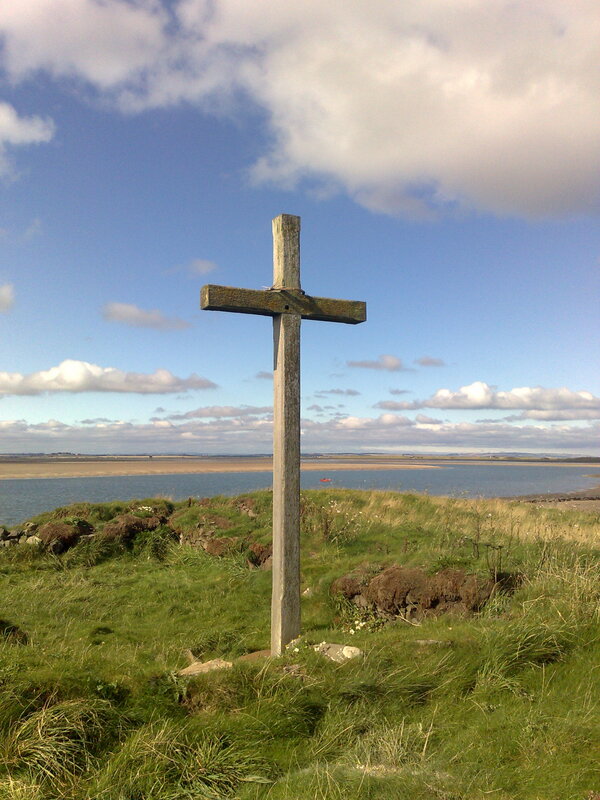 The early Christians chose a name for themselves – they called themselves ‘the way’. I have always talked a lot about how the Christian life is a journey. We welcome people to join us as part of our journey. We were reminiscing this week about all the people who have been in our small group over the last 8 years – we worked out that there have been over 40 members over that period: people who have joined the journey with us for a season. I always tell people that I am learning to follow Jesus. That is what I think discipleship is as the word disciple means ‘learner’. We were looking at the Great Commission in small group this week as well. Jesus said, ‘make disciples of all nations’. Our time sharing each other’s journeys towards knowing Christ better is how we’ve been making disciples. There are 40 people who have been helped to grow who have come through our small group. Don’t ever think that when someone becomes a Christian that that is it. It is only the beginning of a really exciting adventure and journey. None of us has finished that journey yet, none of us is complete, we are all learners together. Whenever we do any kind of mission, we should be coming in saying ‘join us in learning to follow Jesus’. We haven’t got it all right yet, we never will, we are simply following Jesus. I once heard someone say that getting guidance from God is a particularly Western Christian hang up. Most of the world’s population have no choice over what they do in life or where they live, so the thought of asking God ‘where do you want me?’ just would not occur to them. I have realised that it is really important to ask God more ‘how do you want me to be?’ than ‘where?’. You might be unemployed, at home with a baby, in a very stressful job. God has placed you in that position for the time being. Ask God how you can serve him in that. It says in Colossians 3:23 “Whatever you do, work at it with all your heart, as working for the Lord, not for men”. I am not suggesting that we shouldn’t ask for God’s guidance but I am saying that in God’s eyes there is no hierarchy of jobs that glorify him. To Jesus, a road sweeper is just as important as a missionary. This is something I’ve learned at Connect, it is how we serve God that matters, not where. It can take some time to work out what your gifts and passions are. There may be some things you are good at but that you don’t really enjoy doing. The best gifts are those things you enjoy AND are good at! We have done a lot at Connect over the years to help each other learn what our gifts and our own spiritual preferences are. This has been invaluable to me personally. I have learnt how to lead services and use my creativity to help people connect with God. I have seen how Tim serves God with his amazing gift of service. I have seen people like Andy and Baz develop an incredible gift of preaching. I have seen Emma and Claire unfailingly focus on the spiritual needs of the children here. I have seen Gaz grow as an excellent worship leader. When people discover what their gifts are and are given the encouragement to use them, the church flourishes and we all grow. Connect has always been very fertile ground for growing people’s gifts. To do this, you do need to take risks. You have to allow people to try things out – and be ready for it not always to work. If you don’t know yet what your gifts are then I would encourage you to ask God to reveal them to you. A good clue is that you really enjoy it when you’re doing it. I used to feel guilty about this (believe it or not). I love leading services and I enjoy it! That’s because I am using a gift God has given me. It’s really hard to say that as a British Christian – it sounds like bragging, but I’m not, I promise! I remember when I lived in Estonia I went to an English speaking Church service once. I met two missionaries from Canada and they said to me ‘what’s your ministry?’ I squirmed and mumbled something about working with students. They confidently replied ‘God has called us to work with young people here in Estonia, that is our ministry’. Now, I’m not saying that we should be quite that forward, but once you do discover what your gifts are – make sure you can use them, otherwise you will find your Christian life quite unfulfilling. I want to thank Connect for helping me to find mine!